Looking for the best quality metal detectors in Johannesburg Gauteng? Tired of not finding the best Metal Detector Shops? You have come to the right place for the best price & best advice. 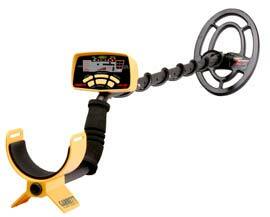 We provide the entire Garrett Metal Detector range and Minelab metal detector range for you to choose from. If you find a better price for the same product please let us know about it! Speak to a real metal detector consultant that has been metal detecting in Johannesburg for over 4 years now. You will get the best advice on the metal detecting hobby as well as the products you may be interested in. Click Here to view the metal detectors for sale in Johannesburg. The above page contains links to metal detector reviews and prices along with videos and detailed information. Click here to order, get a quote or ask a question. Not only do we have the best metal detectors for sale in Johannesburg but we also provide cheap delivery in Johannesburg. Alternatively you can collect the product yourself from a depot in Randburg Johannesburg. We also provide Metal Detectors Cape Town as well as Metal Detectors Durban. If you are the type of guy or girl that loves the great outdoors, history, coin collecting or camping this metal detecting hobby will fit into your lifestyle like a charm. You will be saving South African history, digging up gold nuggets or adding to your old coil collection in no time at all. Metal Detector SA has set up a Metal Detector Johannesburg club where you will be informed about group hunts, interesting news or a chance to chat with others in the field. Weather you purchase a metal detector or not membership is free. Metal Detectors for sale Johannesburg – Get yours now and never look back! Metal Detectors South Africa rocks! Finally a seller of walk-through matal detectors in johannesburg. Great metal detectors! i am based in Zambia.